First things first: The Starving Artist has passed 100 posts and 800 followers! Also, we have passed one of the great, blog-tipping-points where–after a year and a half–the blog finally has its own momentum and we get actual comments (maybe some Shares, Tweets, Likes) on every post. Woo-hoo! Now, if I can only usher it wisely, and make sure to keep the good content rolling, I should be able to hold the blog above this threshold. Now for a writing-related movie review. For once, the movie I am reviewing is not a great-book-into-movie, but a movie about writing. Unfortunately, it’s not a great one. For all the books about writers (probably too many, actually), there don’t seem to be nearly as many excellent or relevant movies about writers or the writing life. In fact, if you could make a superb fictional movie about a modern, self-pubbed writer, it would be timely, to say the least. Authors Anonymous has been dangling in front of me at the local RedBox, and despite the awful reviews, I couldn’t resist wasting my own time with a kombucha, jalapeno chips, and a couple hours of thoughtful tedium. (I was being thoughtful. The movie was being tedious.) I was reluctant to accept the consensus that we are living in a post-mockumentary world, but this movie sure made me feel someone, somewhere was right about that assessment. What I’m going to say is this: There are themes and particulars worth exploring here, and moments when writers everywhere, I’m sure, go “Yeah! I get that!” There is also a bit of a disconnect between LA authors and whatever I am… a Southern author. Mostly, though, the story is beyond slow and uninspiring, and it’s a downright groaner for its moments of ridiculous cliche. An author–who doesn’t read–gets snagged in the first chapters of her first book and before her book is even done is making six figures and sleeping with famous people. Whah? 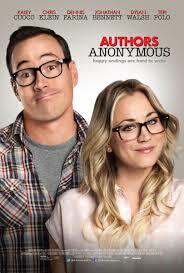 Plus, why was it even called Authors Anonymous? Good idea, exploring the tension between a group of writers when one of them meets with the ever-elusive success. Bad, bad actualization. And even for all that, I would not discourage writers from watching, just for those (almost redeeming) moments of “Aha” and the message to put writing first and avoid distraction and to stop getting in your own way. I would never recommend it to anyone else, though, because I hate the idea of anyone thinking we writers are that polarized between spiteful nut-jobs and naive bumblers who only have but to finish that last page before fate graces our talent with laurels and fame and fortune. The best writing movie I know of at this time is Stranger Than Fiction, but that still does no better at portraying the life of a real writer. (It’s just a good movie.) If you can make a blockbuster portraying real childbirth and publishing, you’ll have my vote for an Oscar. So, since I can’t recommend the reviewed movie for most of you, I’m going to give you a few summer movies to watch, instead. At the movies: Maleficent. It was a bit slower than I expected, and the much-talked-up acting was understated. But beyond that, I have no complaints. 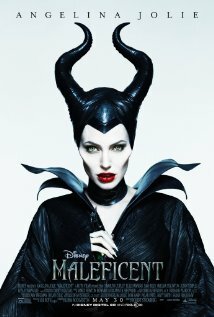 Even though it was complex and dark, my kids enjoyed it as much as I did. One of us liked the fairy world and special effects, one of us liked the magical fight scenes and the dragon, the other of us liked the anti-bitter, anti-greed message of forgiveness. The end’s no shocker, and there are moments that are going to warrant an explanation for kids, but it’s a seamless summer movie full of power and beauty. 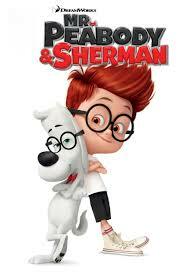 On video: Mr. Peabody and Sherman and The Secret Life of Walter Mitty. Two very different movies, and yet they are both remakes and have the same light-hearted, almost-magical tone. I’m beginning to think movies of 2014 are slow by trend, because that’s the only real complaint I have of both of these, as well. But I would watch them again. And again. 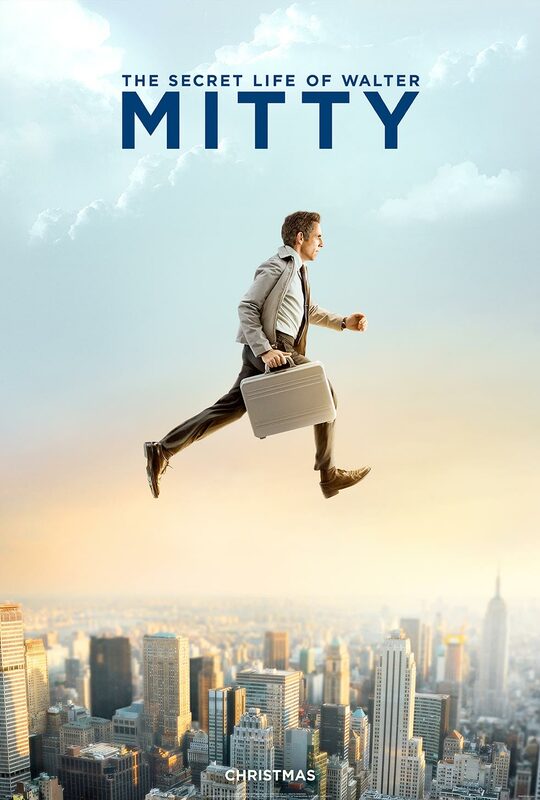 First off, I love the idea that someone made a movie about the place where a character goes when they are zoning out. That is my kind of movie! And Stiller manages to be so lovable and intriguing while also being a bit funny. As for Mr. Peabody, it’s not as good as The Croods, but it speaks to grown-ups as much as kids, is about time travel and history, and is a comfortable mix between poignant and funny. Plus–and this is so exciting to me!–the parent survives the film and asserts his authority and the child’s need to obey and trust. What?!? In an age of child-dominated cinema, I was so happy to see this. You could also go with an outdoor viewing of The LEGO Movie. That’s what we’re doing. On video for like twenty years: Try this (not official, but it should be) trio out for size, some long night full of down-time: The Remains of the Day, Sense & Sensibility, and Much Ado About Nothing. They are related by one particular actress–Emma Thompson–and also by England, period-film, and other common actors. They are also related by being particularly great movies. Oh, and they all also happen to be made from great books. If you haven’t had enough by the end, you could continue on with Downtown Abbey and/or Harry Potter, but that would be moving into a slightly different feel. Congrats on the numerals, btw! I’ve been waiting for this review 🙂 It’s not out on AmPrime yet, will check Netflix. If not, I’ll wait. I’ve been writing for nearly five years, and just broke 200 since I made up my mind to take a year and focus (well, in addition to my day job). That count doubled in less than a month after making that commitment. Thanks so much for the encouragement. Focus is our friend, right? 2012 was my year to learn that word, come hell or high water, and now I’m wondering how to maintain that sort of life with, well, a life.